National Trust Scones: The Book of Scones - The Final Countdown! The Book of Scones - The Final Countdown! MY MINI-MISSION IS COMPLETE! 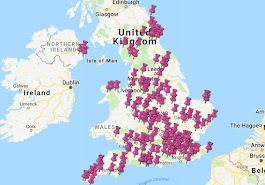 I have baked all 50 of the scone recipes from the National Trust Book of Scones - well, to be very honest, I couldn't find any beetroot so I've actually baked 49 of the 50. I'll have to come back to the beetroot. Here's another Christmassy number. It contains cheddar as well as Stilton but if I have learned anything from this scone baking project, it is that cheese makes scones lighter. I really didn't expect this. I have a new-found respect for the contestants on Great British Bake Off, having completed this project. In 49 attempts, I don't think I achieved a single uniform batch of scones, until these ones came out. And they were delicious. Another tasty savoury option for you! I made a number of discoveries during this project and one of them is that cheese can actually make a scone much lighter. Previous cheese scones that I have encountered have been stodgy and greasy, but these ones were utterly delicious. I won't lie to you - I very nearly binned the rather lumpy one at the back of the baking sheet. But I didn't, as that would be cheating, and the whole purpose of this project is to show that anyone can bake scones. I left the fruit scone until last. It's the queen of the scone world and I wanted to get as much experience behind me before I attempted them. They were absolutely delicious and they actually looked very good too. I couldn't find any beetroot, so this one will have to wait. 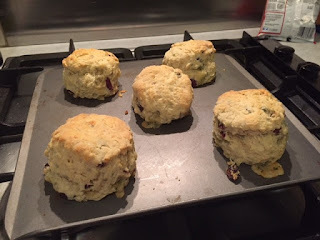 Scone bakes 36-40 - includes the Bacon, Cheese, and Spring Onioni Breakfast Scone! Scone bakes 31-35 - includes the autumn-on-a-plate Pumpkin Pie Scone! Scone bakes 26-30 - includes the amazing Fig, Orange and Walnut Scone! Scone bakes 21-25 - includes the astounding Stollen Scone! Scone bakes 16-20 - includes the zesty Lemon and Coconut Scone! Scone bakes 11-15 - includes the Triple Chocolate Scone - say no more! Scone bakes 6-10 - includes the world-famous Chocolate Orange Scone! 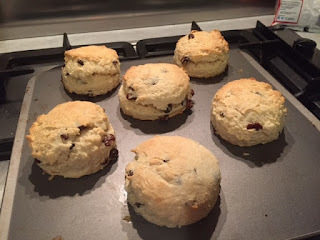 Scone bakes 1-5 - includes the very surprising Earl Grey Scone! So there you have it - 49 scone recipes tried and tested to give you some inspiration. 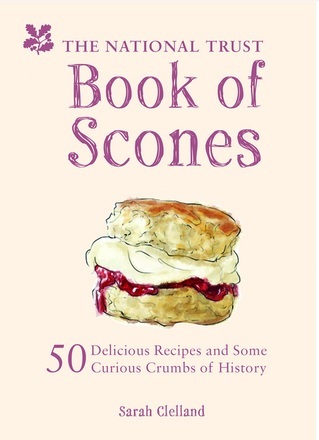 I highly recommend that you try them - you can find all 50 recipes in the National Trust Book of Scones.